Are You or Someone You Know Affected by This Cancer? 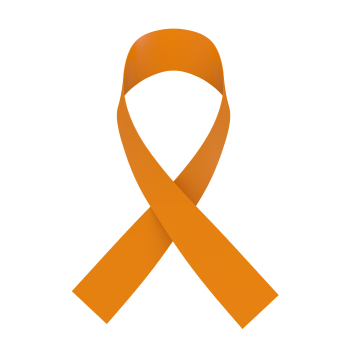 Leukemia is a cancer of the blood cells. It starts in the bone marrow, where blood cells are formed, and causes the body to create an abundance of abnormal white blood cells. These cells, also called Leukemia cells, begin to crowd out the body’s healthy cells resulting in anemia, bleeding and infections. Leukemia cells can also travel to the lymph nodes and organs causing malignant tumors. Leukemia strikes both children and adults, and while survival rates are high, treatment is often difficult and always expensive. People who have been affected by Leukemia or Lymphoma, either directly or through a family member, understand the physical, emotional, and financial challenges that accompany the disease. A diagnosis of Leukemia can often lead to the derailment of a student’s plans for college. The emotional and physical burden can cause a student to abandon their educational goals, and the high costs of cancer treatment can strip a family’s savings, making it even more difficult to pay for a college education. But Leukemia patients, and the people who love them, should not abandon their dreams of a college education. There are a wide range of scholarship opportunities that target Leukemia patients and survivors, as well as family members who have been affected by the disease. These scholarships are typically sponsored by charitable foundations and private endowments, and are designed to help students affected by Leukemia to realize the educational goals. Scholarships for those affected by Leukemia can take a number of different forms. Some target cancer patients and survivors directly, while others may target the family members of people stricken with the disease. The one thing all of these scholarships have in common, is that they provide much needed financial assistance to students who may not otherwise have the financial resources to pursue a college education. The following selection is by no means comprehensive, but should give a clear indication of the types of scholarship opportunities available to Leukemia patients and survivors, and the family members who love them. The National Collegiate Cancer Foundation is committed to encouraging and supporting young adults who have been diagnosed with cancer. The foundation provides need-based support for cancer patients and survivors who are pursuing their college education. The NCCF Scholarship Program awards multiple $1000 scholarships to cancer survivors and current patients, between the ages of 18 and 35, who are enrolled in an accredited college or university within the United States. This is a non-renewable, though recipients are encourage to reapply each year they are enrolled in college. The Cancer Survivors’ Fund offers their annual CSF Scholarship for college-bound students who are survivors of cancer, or who are undergoing treatment for cancer. Applicants must submit two letters of recommendation from teachers, a letter from their attending physician, and an essay on “How My Experience With Cancer Has Effected My Life Values and Career Goals”. Award amounts vary, and are based on the financial need of the applicant. The Aplastic Anemia & MDS International Foundation is dedicated to the needs of patients affected by a variety or bone marrow disorders, including Leukemia. The AA&MDSIF administers the Matthew Debono Memorial Scholarship Fund which provides financial support for college students with anemia, MDS, PNH, or one of the four major types of Leukemia. Approximately 30 scholarships are awarded annually. Award amounts vary. SuperSibs! is national charitable foundation dedicated to the emotional and financial support of the brothers and sisters of cancer patients. The sponsor the annual SuperSibs! Scholarship Program for the siblings of cancer patients. Applicants must be graduating high school students who are the sibling of a child who has, or has had, cancer. To be eligible, students must have a minimum 2.5 GPA, and must be enrolled, or preparing to enroll, in an accredited college or university within the United States. The annual award is unspecified. The Jackie Spellman Scholarship Foundation sponsors an annual scholarship for students whose lives have been affected by Leukemia and Lymphoma. The scholarship is open to patients and survivors, as well as to the children and siblings of Leukemia patients. The foundation awards 10 scholarship each year with award amounts ranging from $1000 to $3000. The Michael A. Hunter Memorial Scholarship, administered by the Orange County Community Foundation, provides financial support for college students who are Leukemia or Lymphoma patients, as well as to students who are the children of a non-surviving Leukemia or Lymphoma patient. Applicants must be enrolled full time at an accredited college or university, and must have a minimum 3.5 GPA. Awards are based on financial need, and range between $2000 and $3000. These are only a few of the many scholarship opportunities available to students affected by Leukemia and/or Lymphoma. Many other programs exist that provide financial aid for Leukemia patients and survivors, as well as for their children and siblings. Students affected by Leukemia and Lymphoma, either directly or through a family member, should consult the student financial aid adviser at their college or university for information on scholarship for which they may be eligible. Leukemia and Lymphoma patients may also want to consult with their primary care physician for information on possible scholarship opportunities. For more information on financial aid for students affected by cancer, please refer to our section on Scholarships for Cancer Survivors and Patients.